The tyre optimised for driving in summer and in winter. Reliable performance in all seasons and every weather condition. Solid shoulder blocks arranged in a longitudinal direction improve traction and braking performance. This results in short stopping distances on dry roads. Wide, lateral grooves optimise effective water dispersal from the tread. This results in greater protection against aquaplaning. 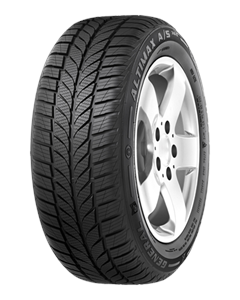 Sipes in the middle of the tread pattern and a high number of gripping edges make the tyre highly flexible. This achieves very good grip on snow and excellent braking performance.